A college roommate taught me to love cloth napkins. Her motivation was not to use paper. My interest was that it was just another good way to enjoy fabric in daily life. 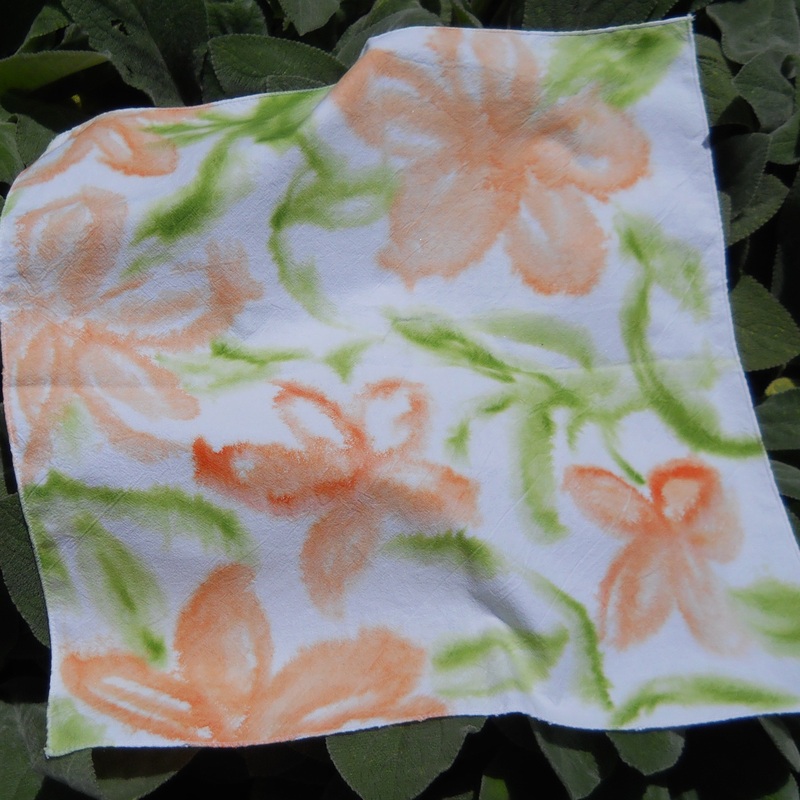 I have used cloth napkins in my home for more than four decades, thanks to Sande’s passion for the environment. 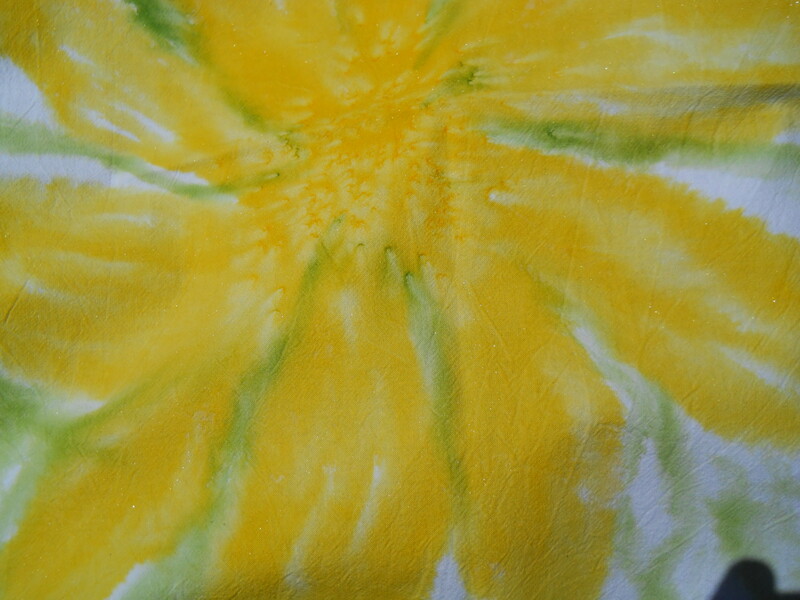 Recently I have started to play with watercolor paint for textiles. 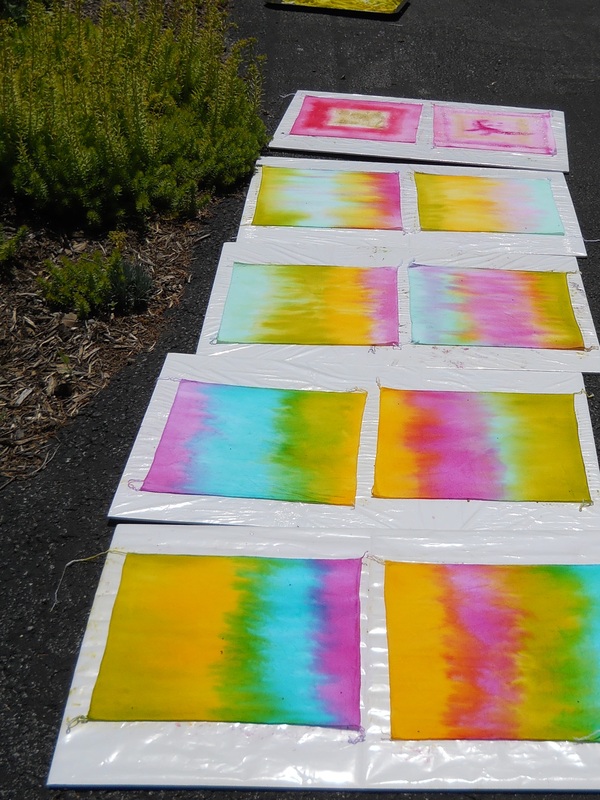 The sunny days of early summer make my driveway an excellent drying room, and the nearby garden has become the background for photographing the hand-painted flowers. The process and the results are a bit addictive for me. 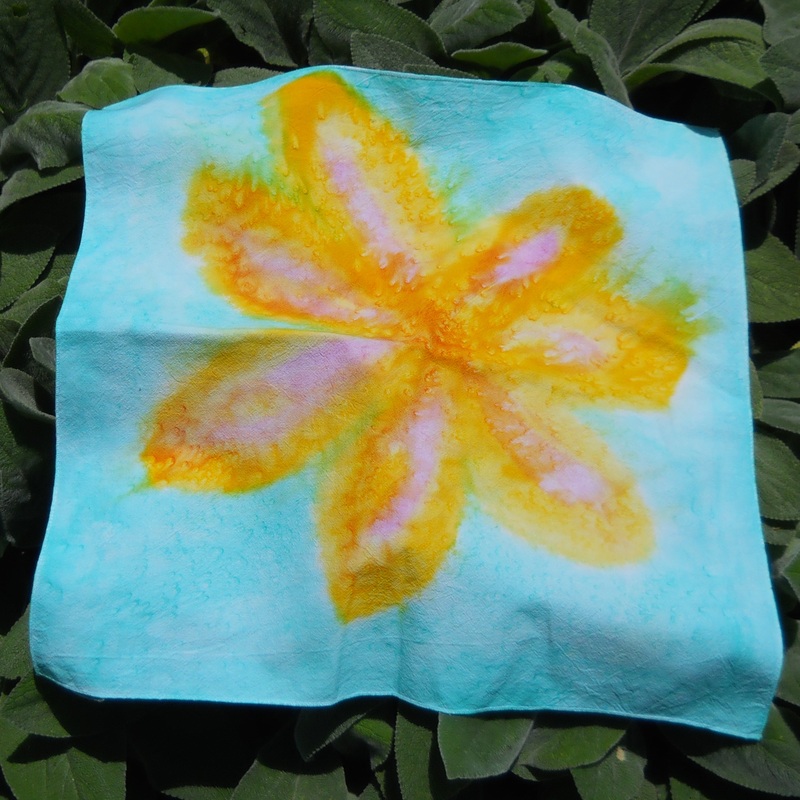 I made and painted 44 napkins in two days! Some of the first fruits were a birthday gift. The others will soon be offered for sale at The Firehouse Gallery, which is the local gallery in my town of Berryville, and at fibergig, my online shop at etsy. The weather forecast for later this week calls for hot sunny days. Time to paint again. This entry was posted in Art for Worldly Spaces by norma17. Bookmark the permalink.